With an office space located on the first floor of 78th St. Studios, Gordon Square Arts District exhibits work from local emerging artists and community partners in the arts. Join us during Third Fridays for the opening reception of our monthly visual shows, or schedule a private viewing by emailing art@gordonsquare.org. 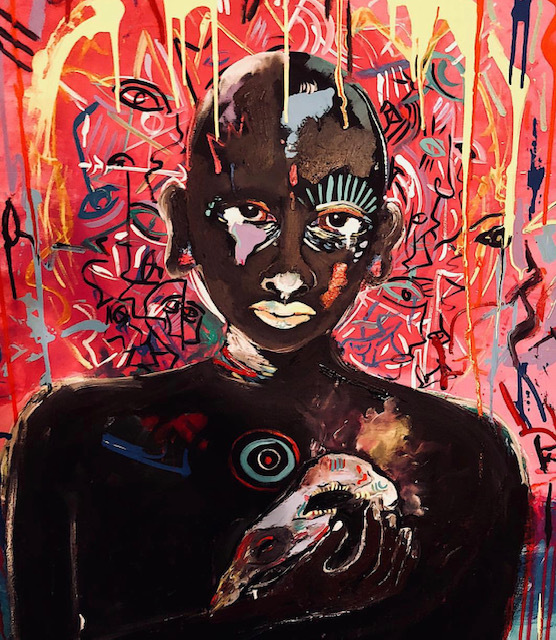 Gordon Square Arts District is excited to present Los Colores, a collection of paintings by Colombian born and Cleveland based painter Nathalie Bermudez Pineda. Inspired by the indigenous people of Colombia, the figures in Pineda’s work show a woman’s experience of strength through strife, and together, her pieces are a vibrant celebration of feminine energy. 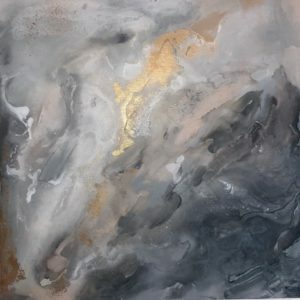 Gordon Square artist and educator Shelly Svonavec shares her newest collection of abstract multi-media paintings. Akin to a sunny sky on a cold winter day, Svonvec’s use of industrial textures and creeping warmth evoke feelings of hope, resilience and the complex nature of the world around us. The Gordon Square Arts Space at 1386 W. 65th Street was a monthly rotating pop-up art gallery, studio and classroom located in the heart of the neighborhood at 1386 W. 65th Street, next to the Capitol Theatre. Gordon Square Art Space | 1386 W. 65th St.
With her first solo exhibition, artist Pip Logan presents a collection of deeply personal paintings that reflect on her distinct experiences of family, addiction and moving on. Logan’s unconventional, mixed-media pieces capture her gritty approach to making the best of life’s obstacles. 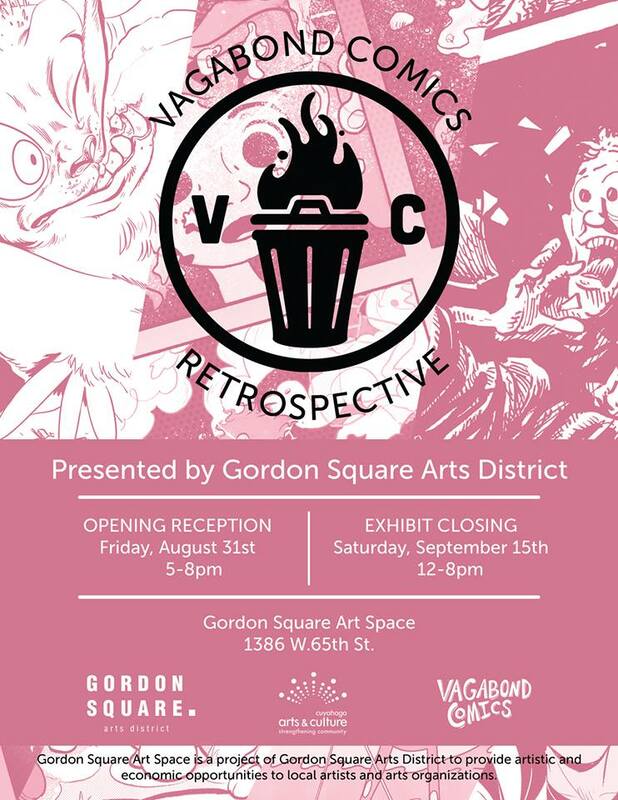 With working through sh*t, she shows the mournful nostalgia that accompanies the loss of a loved one, and how we each find our own ways to work through sh*t.
Join us for the opening reception of Vagabond Comics Retrospective, and celebrate the launch of Vagabond Comics, Issue 9: Midnight Creepers. Vagabond Comics is an independently published, all-ages anthology. Much like a trashcan fire serves as a gathering place for the wild tales of ragtag travelers, we we aim to provide a welcoming platform for a diverse collection of voices. This show features work from various contributors across two year’s worth of quarterly comics. 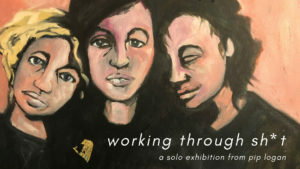 Participating artists: Sequoia Bostick, Abby Cali, Allison Gajewski, Clare Kolat, Kia Taylor, Nina Summer, Angela Oster, Joel Barr, Melisa Des Rosiers, Tim Switalski, Lindsey J Bryan, Stephanie Haught, Brian Gleine, Liam Donnelly, John G., Zach Sabatino, Salem Powell, Amalia Degirolamo, and Hazen Becker. Cleveland Illustrator Kate Atherton has been working with Near West Theatre on and off stage for the last five years, and has lovingly poured these experiences into countless ink illustrations and paintings featuring the cast members from each show. In celebration of Near West Theatre’s 40th anniversary season and upcoming benefit , Kate’s pieces will be on display in the Gordon Square Art Space located at 1386 W. 65th St., featuring works inspired by the NWT productions of Jacques Brel is Alive and Well and Living in Paris, Hair, Urinetown, Showboat, The Wiz, Carrie, Xanadu, and Beauty and the Beast. 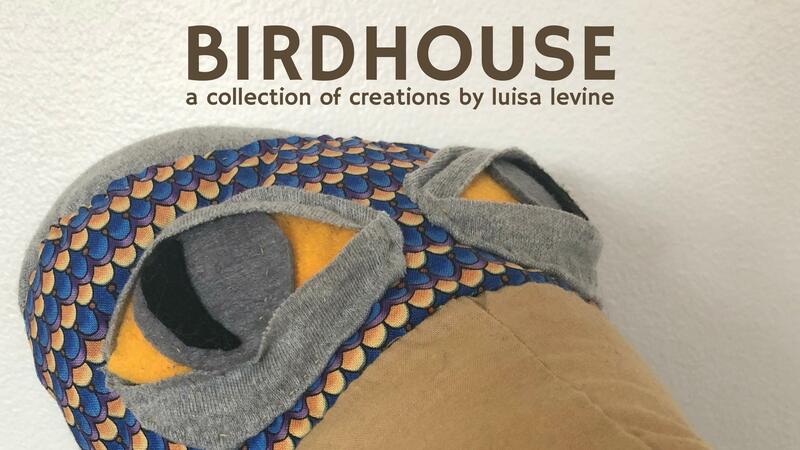 bird sculptures, with accompanying essays that explore the deeper essence of who these creature are. Sometimes shocking, always amusing, Levine’s work provides an immersive and interactive experience not to be missed. open to the public! Gordon Square Art Space is a project of Gordon Square Arts District to provide artistic and economic opportunities to artists and arts organizations. 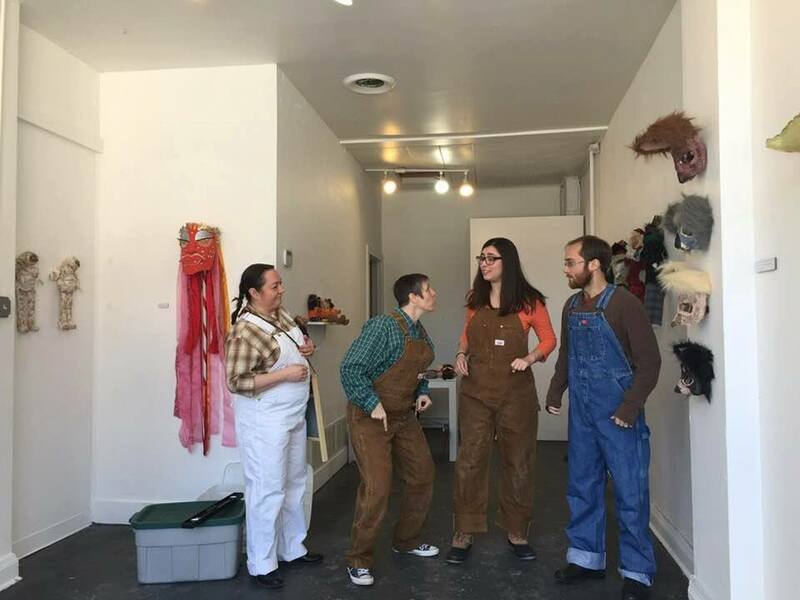 Talespinner Children’s Theatre is a Cleveland-based company that develops and produces highly imaginative, original, collaborative and interactive professional works for children that also stimulate creative growth in its artists. 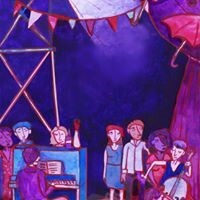 This January, a selection of the puppets and masks all created by TCT Executive Artistic Director Alison Garrigan will be exhibited in the Gordon Square Art Space. The exhibit, Perseverance, is an appreciation of the beauty in often-overlooked still life objects and the struggle and successes that they represent. “I seek inspiration and learning opportunities from every life event, even tragedy,” says Figer. “Every ending is an opportunity for a new beginning.” Figer’s work is a testament to the fragile essence of life, serving as a reminder to be grateful and appreciative of the often taken-for-granted joy embedded in the simplicity that surrounds us. Brooke is a Cleveland native and life-long artist. In addition to her independent fine art, Brooke works full-time as a digital artist for Kalman & Pabst Photo Group in downtown Cleveland. Her award-winning work has been been featured in international publications and galleries nationwide. 10% of all artwork proceeds will be donated to ACLU by Brooke. Rachael Tweed is a 25 year old Cleveland based artist. Her work floats between the representational and abstract, focusing heavily on her use of palettes and repetition. Rachael is especially inspired by plant life, women, and exploring the how both of those subjects can represent abundance and will. 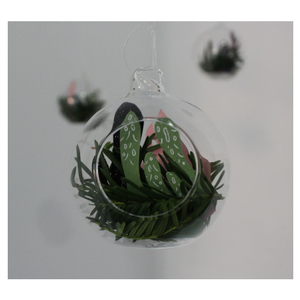 Her primary mediums are acrylic and cut paper. 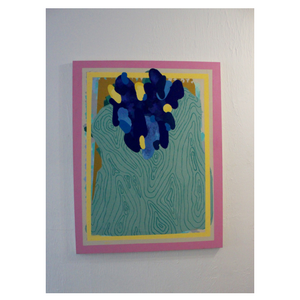 In her new show Foliage, she’s beginning to experiment with bringing these two mediums together. Born & raised in Cleveland & currently residing in Gordon Square, John Paul Costello is an artist, designer, & fabricator with a concentration in minimalist furniture & functional products. His focus is both client-driven work & abstract & kinetic sculpture. Twenty-Twenty-Five is the artist’s debut solo series inspired by his early fascination with dioramas, architectural models, & the abstract sculptures created by his father. Scorched abstract forms contrasted by detailed scaled models produce a multilevel experience. 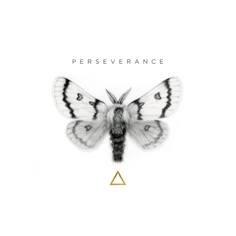 Twenty-Twenty-Five encourages the question, “What happened in these worlds to make inhabitants create such places?”. John Paul has a wood shop located in Slavic Village, where he creates custom residential & commercial pieces, specializing in wood, metal, & fiberglass. Recently, he co-founded So Fun Studio with Erin Guido, an interactive-design & collaborative that creates joyful, light-hearted public art. 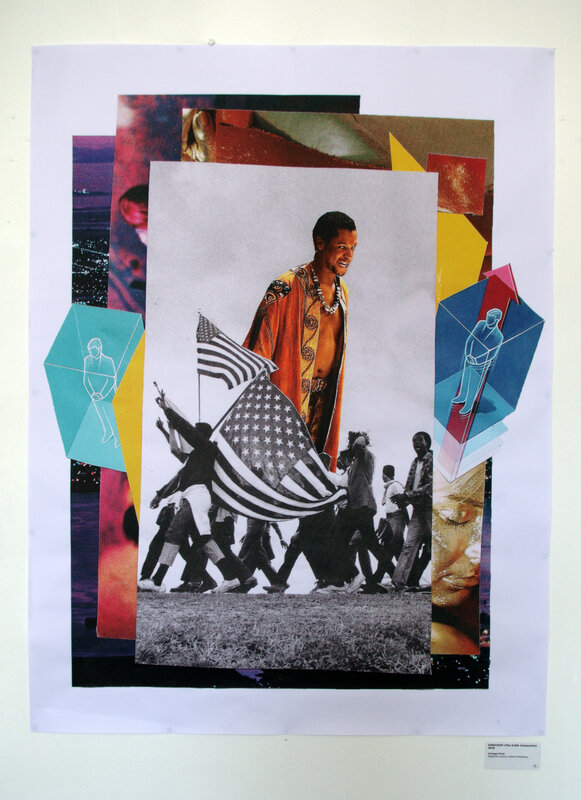 Dakarai Akil is a Cleveland native collage artist / muralist / designer. He’s the founder of THISBRANDUSA, as well as a founding member of Lab Cabin Cleveland (LabCabCLE). 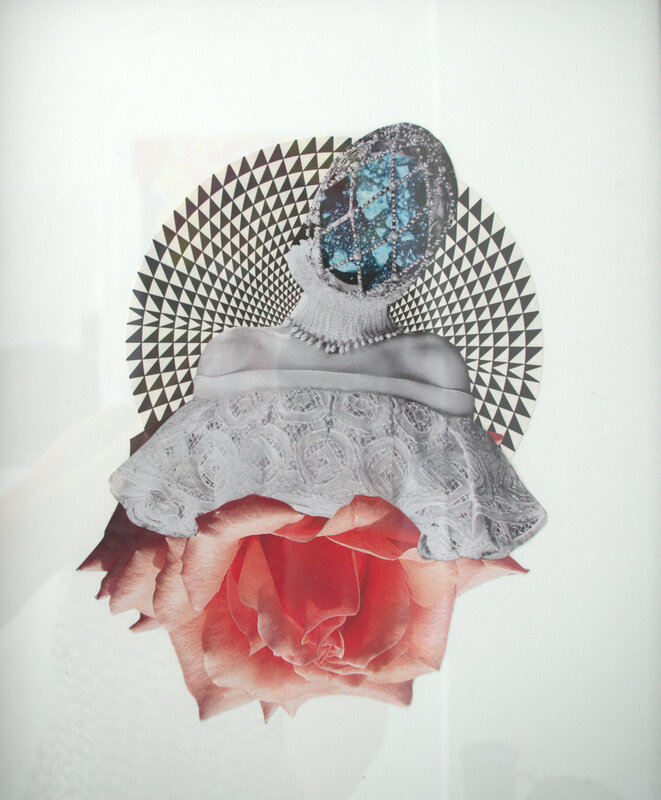 ALL LOVE is a series of new collages, along with new apparel & merchandise from THISBRANDUSA. 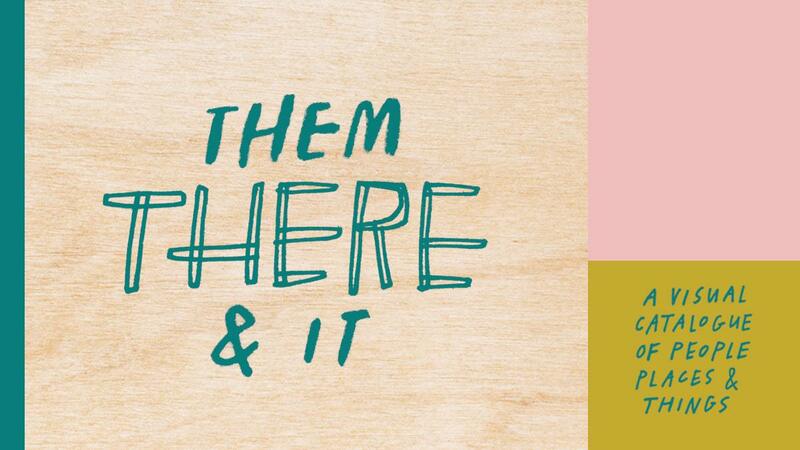 Phoebe Thomas & Amber Esner are illustrators & friends based in Cleveland. Phoebe earned her BFA in Illustration at the Maryland Institute College of Art & Amber, at The Cleveland Institute of Art. Phoebe’s drawings & sketches are inspired by daydreams, mysterious feelings & water. Amber’s works are based around true events, feelings felt & connections made. As a duo that are known as PB & Ham (sandwich). The show Them, There & It will recognize & reflect upon voids in routine caused by heartbreak, death, & loss. Through the people, places & things catalogued, they progressively grasp onto what it means to take it one day at a time.